We cater everything from casual buffets to elaborate sit down dinners, as well as corporate and special events. We present our food with an artistic flair and the utmost care. We customize our menu to meet each of our clients specific needs. A number of our repeat clients give us free range on their menus. We have access to many large venues here in Santa Cruz with a full bar and ample parking. Sunny’s Catering is Joshua Keen Server, Jeff Love and Sybil Morgan. 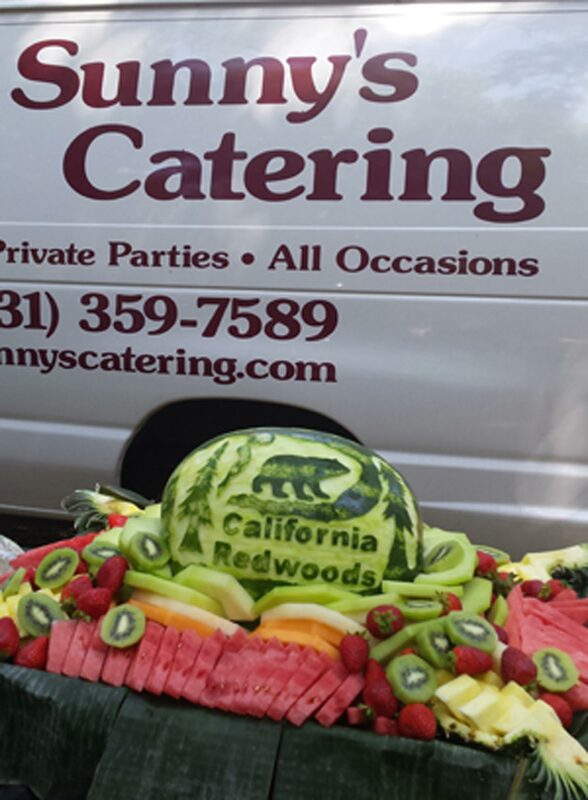 We have a wealth of experience working all over Santa Cruz and the world and look forward to catering your next event! Looking for a quote on catering your Santa Cruz qedding, corporate event, or special day? Fill out our quick quote form with some basic information and we’ll get back to you ASAP.